Looks Good from the Back: Snow Goggling. 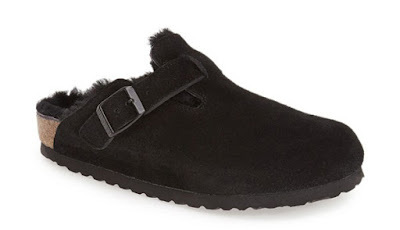 A: Kim France is making me want shearling lined Birkenstocks. WTF. A: I have Uggs. They're tall and require effort. Actually, I have Ugg slippers too. Never mind. if it makes you feel any better, I have those clogs, unlined, and they aren't easy to keep on my feet. I know they fit perfectly because I got them at the Birkenstock store and had an expert fit me. The real question is: do I need new Ultimate Short Uggs or these (http://www.uggaustralia.com/women-classic-luxe/). Sigh. Two words: wool socks. The only way to combat cold toes in the winter! I mean, Uggs are good on the worst days, but wool socks let me wear my cute shoes too.